Numbness and Diabetes: There are dozens of complications that come with having diabetes and none of them are easy. Some are just plain hard to deal with and some are just to full of pain to try and deal with. If you have diabetes then I don’t have to for warn you about the complications that come with it. However, maybe I can help to take some of that pain away by introducing some new medications that will help the pain of diabetes seem less depressing. However, in this article I am referring to the complication that’s called Neuropathy. Some other names for Neuropathy that are commonly used is loss of sensation Again, if you have been diagnosed with diabetes and are feeling the signs and symptoms of Neuropathy then I don’t have to tell you about the pain and stressfulness that you are feeling, if fact you could probably tell me a thing or two. On the other hand, there are many who are unfamiliar with this complications so I will go over some of the finer details and the some medications that might help things to feel a bit better. Diabetic Neuropathy effects nearly 60 percent of those who have been diagnosed with diabetes, this means there has been some form of damage to the nerves that has been caused by long term symptoms of diabetes. 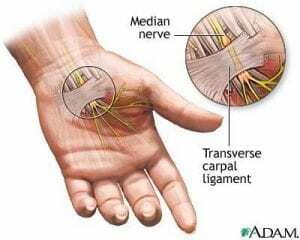 Some of the symptoms that might be hard to handle while going through Neuropathy is some tingling feeling in your arms and legs along with numbness, prickling and occasionally you may feel some cramping, burning or some sensitivity in touching things or being touched. When these symptoms first begin you will notice the pain more in your legs and feet and then it will travel through other parts of your body and then to your hands where it can be most tender at. Because you are always using your hands daily for different activities. This complication has been observed by many scientists who are not sure of what is causing Neuropathy in individuals with diabetes. These factors however have also been observed in thinking they are the cause of this condition. Scientists believe that some damaged oxygen supply to the nerves that has been caused by the damage given to smaller blood vessels throughout the body. Some have described their pain as a feeling of a hand or foot going to sleep, except it never goes away. This is referred to as a compressed nerve. Sometimes though, you have the feeling of numbness or tingling when you have a pinched nerve, this can very annoying and often painful. This condition is in reference to damage that has happened through injury of a nerve or a set of nerves. Sometimes a simple pinched nerve can cause other conditions like tennis elbow, neuropathy and carpal tunnel. Other causes of numbness and pain can be caused by nerve disorders, circulatory disorders and Parenthesis. Parenthesis is can have some of the same signs as Neuropathy such as a feeling of pins and needles running through-out your body, some prickling and burning may be felt also. Parenthesis simply means abnormal burning of the arms, legs, hands and feet. Causes of this condition can be Nerve entrapment, Nerve compression, stroke, traumatic nerve damage or even neuropathy. So it is extremely important to get your body checked to find out what it wrong and what condition you may have. Never try to diagnose yourself when having this “tingling” sensation going through-out your body. When you have neuropathy you can try a number of things to help you regain some feeling back into your hands and feet. Number one that is always said by doctor is medication. However, there are many people who prefer a different method of healing rather then prescription drugs. If you are one of these people then you might want to try some physical therapy, this may help you find some relief in the pain that you feel. When you are feeling numbness in both your hands and feet you always want to go into your doctor’s office and find out what it causing it. It can be something minor like a pinched nerve to as big as something that shows the first stages of being a diabetic. Similar things that could be causing the problems in both your hands and feet tingling are treatments of Cancers like breast cancer, lung cancer or even brain cancer some chemotherapy can bring the onset of numbness and tingling into your body which spreads to your arms and legs. Sometimes the numbness can be caused by a vitamin deficiency such as lack of vitamin b-12, vitamin b-6 or thiamine. That’s not is though, some tingling sensation can be brought on by underlying illnesses not ready to show themselves yet. Multiple Sclerosis, which is an auto-immune disorder, can cause adverse affects of numbness and tingling. So those are the reason it is so important to get checked out as soon as possible. You never want to take anything for granted. Let’s talk about some herbs that might help you to feel better from the symptoms of Neuropathy. Most people know that when you take Vitamin E, you are taking just about one of the most important helpful vitamins there are out there. Vitamin E conquers so many health conditions, not to mention the conditions that it prevents. However, when it comes to Neuropathy and Vitamin E, you are getting another chance at life without the painful effects of Neuropathy. Granted, I would not highly recommend diagnosing yourself and then simply taking vitamin E. However, many people want to feel somewhat safer while taking medication for their conditions and herbal medication helps those people to achieve that. Vitamin E also helps to achieve help with Cystic Fibrosis and those who are having problems with their pancreas. Other herbal remedies include Cayenne peppers or of course Cayenne flakes, Cayenne only helps to alleviate the pain but can never take it away. If you are taking the herb Cayenne repeatly then you will find that it helps the pain stay at a bare minimum at a very low amount it always helps to restore and heal damage that has been done to your nervous system. There is not better cure probably then that of tea. There are so many teas out there for you to choose from that your options are endless. Most people like tea and the flavoring of most teas do not vary from one to the other unless you have a tea that contains fruit mixtures. You may find green tea to become one of your favorite teas right off the bat because of its reduction of weight. Though Black tea is considered to be the best tea that you can drink because you are absolutely getting the most out of it. Green tea on the other hand is more helpful for those who have diabetes, cancer and other conditions. Tea helps build your antioxidants back up which will help your immune system fight against all those harsh diseases your body has been prone to while under immune distress. Tea especially hot can be the number one cure for those who need a major herbal remedy.